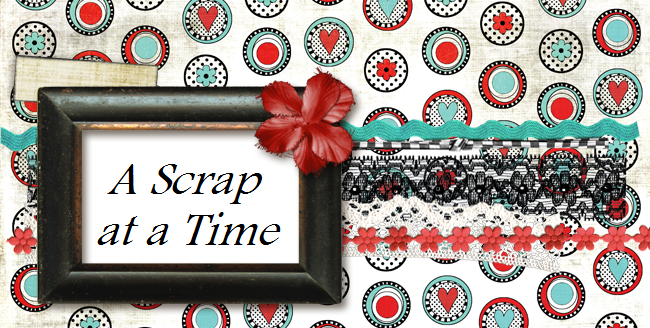 A Scrap at a Time: I went shopping!! Who would have thought that I would say there was something that I loved about the city of Corsicana (well except my 4 adorable nephews, and I guess my sister and BIL too :) ). But they have a wonderful LSS, Scrapping Goodtime. It was so hard to choose from all the fabulous new papers they had in. I was ready to dig into them the minute I got home. So this was my first creation using the gorgeous new Imaginisce Twitterpated. Autumn was doing one of her most favorite things to do, trying to make it impossible for me to watch tv, by pressing every possible button on the remote. wow, congrats on getting pubbed!! !